SilkPro Hair Fall Control Shampoo: Get early treatment for hair loss and greying hair. 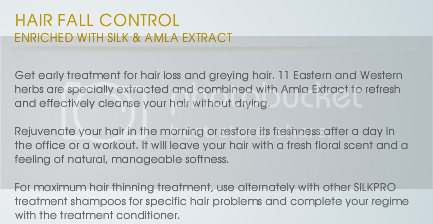 11 Eastern and Western herbs are specially extracted and combined with Amla Extract to refresh and effectively cleanse your hair without drying. This produces soap suds easily when mixed with water. VERDICT: First of all, the scent of this SilkPro Hair Fall Control Shampoo have a rather sweet and strong scent to it. However, this strong smell actually makes you hair smell nice after just 1 wash. And as claimed by SilkPro, "in just one wash, you can truly feel the difference", I personally beg to differ entirely. I tried it the first time after getting the sample from SilkPro's Facebook page, this SilkPro Hair Fall Control Shampoo actually leaves a tingling and cooling sensation around my neck area where the shampoo dripped instead of feeling it on my scalp. (Just like the Head & Shoulders Menthol shampoo.) However, I don't see any improvement despite saving that 1 sample satchet for 2 days use. 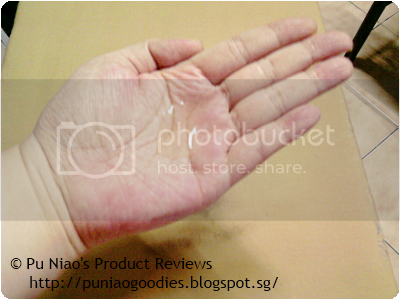 As SilkPro claimed that consumer(s) can see the difference in 1 wash, I found that I lost more hair after 1 wash instead. How's that for that quote "in just one wash, you can truly feel the difference"? I did feel the difference, but not as promised. Granted that this shampoo didn't do much harm to my hair except to give me more hair fall instead of "controlling it", the scent actually is a perk me up after showering. However, I cannot deny the fact that this shampoo also cleanse well, lathers easily and also washed off easily too. 2 days after using that 1 sample satchet, I felt itchiness on my scalp, on top of the more-than-usual hair loss that was supposed to be controlled and felt in 1 wash. 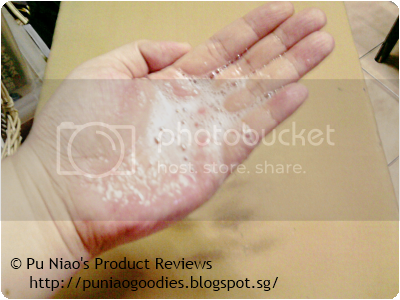 Despite the shampoo touting to be a Hair Fall Control shampoo, it doesn't deliver at all. I'm pretty sure there are other shampoos out in the market that actually does the job as promised. Even when SilkPro has managed to get a few popular celebrities to endorse this product, I really and truly wonder if the endorsers actually did tried the shampoo for a duration of at least 1 week to a month, or were they really just paid to claimed that it works despite never using this before. 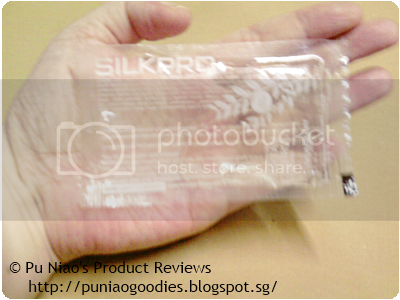 WHERE TO REDEEM A SAMPLE: I got my samples from SilkPro Singapore Facebook page at https://www.facebook.com/SilkProSG while they were still having a Facebook sample giveaway. However, the samples were redeemed too fast. So, I'd recommend being a fan of their page by Liking their page in order to be informed of their hair care kit giveaways at selected locations. Generally, I'd suggest getting this hair care kit and saving the shampoo samples for at least a good 2 days use as you don't need much shampoo on your head. And you can gauge/judge for yourself if it is really effective for you. I know it doesn't for me, so I won't bother to buy this product ever. When searching for that shampoo that would suit you best, you should first determine the cause for your hair loss. There are a lot of reasons such vitamin or mineral deficiencies, side effects of certain drugs, high levels of stress experienced by the body, a poor balanced diet, scalp problems such as dandruff and even genetic reasons. So i guess the best thing to do when your experiencing hair loss is to consult your doctor for recommendation concerning the right shampoo to be use or any suitable treatment. In this way, you would know the real cause and you can stop hair loss by applying appropriate solution. Yep, I do agree with you that there are more factors concerning hair loss than what it just simply looks like. Our GPs are probably the next best person to go to so we do not do more harm to our hair too.